If These Walls Could Talk – A Conversation opens Feb 12th at Marine Art Salon from 6 – 9pm and Feb 19th at Charlie James Gallery from 7 – 10 pm featuring new works on paper. 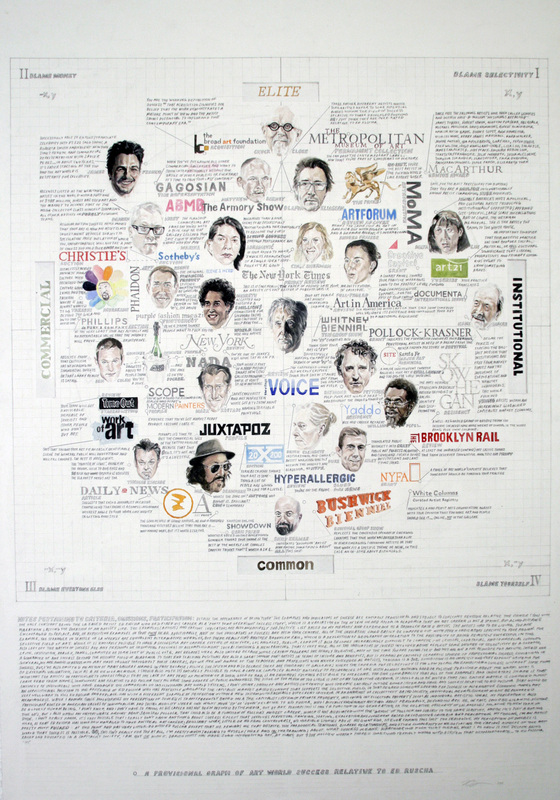 Image: “A Provisional Graph of Art World Success Relative to Ed Ruscha” 30″ x 44″, Graphite, watercolor, colored pencil on paper. Courtesy of the artist and Charlie James Gallery.